My first reaction to that question is," Are you serious, Nothing!" But then as I sat and thought about it, that isn't exactly true. While I do not and will never see my children's death as something remotely positive, I have experience some things over the last 7 months that I would never have gotten the chance to if my children had born and stayed with me on this Earth. One being my faith. I have always been a believer but after Bryston died my faith was profoundly shaken. I questioned everything I had learned of the loving God I had always known. But now, I know without a doubt, there is a Heaven! How could there not be? I have felt Bryston with me and I have felt Gods love surrounding me in some of my darkest moments. I have witness signs from above too often to consider coincidental. Two being my marriage. Ty and I have been married only a short 2 1/5 years and have experienced things that most couples could only imagine in their worst nightmares. And yet here we are, going strong, together. I think this grieving process has taught us so much about each other. While we grieve differently, we share the same sorrows. We are kinder and gentler with each other now than we were. We communicate in a whole new way now. Third is my life views. I look at everything now in different way. I am kinder and quicker to empathise than I was before. I've realized that even on my worst day that someone else out there is going through something completely different and perhaps just as devastating. That the guy who cuts me off in traffic is not a jerk but maybe a panicked Daddy on the way to say his final goodbye to his baby, mother, or wife. Or that rude saleslady might not just be rude. She may have just learned that she has 6 months to live or that she's loosing her job and home. I'm no longer quick to judge. I of all people know that I have sinned and that my sins are no greater or less than yours. Sin is Sin. So there you have it. I guess something postive did come out of this all after all. What do you think? What do you concieder if anything at all to be a postive from your loss? O LORD Almighty, my King and my God. they are ever praising you. Beautiful. I totally agree, and add the fact that though we wish no one has to be apart of this club, i am thankful for the wonderful women i have met. Hugs to you. Jennifer, this is so beautiful. When we first lost Samantha, I couldn't have even tolerated this question. But in time I have begun to reconize that my family has been affected in good ways as well as the trauma we sustained. For instance, my husband and I have become closer, and have found a kind of spiritual relationship. My husband turned his life towards God, and got baptized. My daughter should never have suffered this sorrow, and yet the compassion and maturity that sprung from that pain is moving to my heart. My relationship with God has never been this real. My idea of faith has never been so different. I am blessed to have met my dearest friend, who is now a sister to me, through my losses. I have never found the kind of connection with anyone like I find when I share my heart with other moms who share my sorrow. I could list the same reasons... thank you so much for sharing.. I have experienced each of these things you mention. I'm so glad you are able to find the positive things that have been brought into your life. I so agree with your positive things! Agreed! Beautifully put Jennifer! I'd add that I learned more which of my friendships were strong, true, & could endure not just the good, but the ugly too! I'm grateful for the strength of those friendships and for all of my babylost mommy friends who speak my heartsongs! You are a blessing!! Hello, my name is Jennifer. (Just in case any of you newcomers out there didn't already know ;) My husband and I married 3 years ago. We live in Smalltown Iowa. On July 24th, 2009 we gave birth to our precious angel baby, Bryston Ray. He sadly did not make it. He was born still at 28 weeks gestation at 1:01pm that Friday afternoon. He wasn't due to arrive untill October 12, 2009. Then on Halloween 2009 we found out that we were expecting our Rainbow baby, peanut. 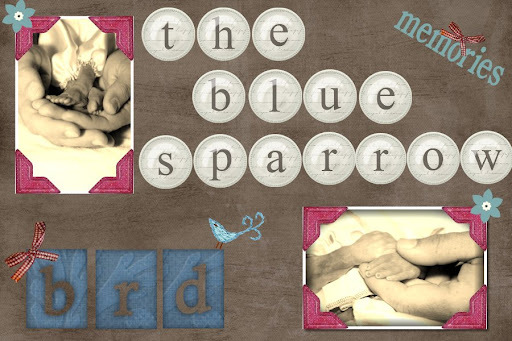 At 10 weeks, 12/21/09, we miscarried again and lost our second angel baby. This is our story of love, life, and loss. Though we are just beginning our walk in grief, we'd like to share that road with others. I dont have any of the answers. All I know is that we are still here, beaten and broken. but still here learning how live again with a peice of our hearts missing. In the New Testament, Jesus reassures his followers that not even a sparrow can fall without God's notice, and that their own more significant suffering is certainly seen and potentially forestalled or redeemed by God (Luke 12:6; Matthew 10:29).